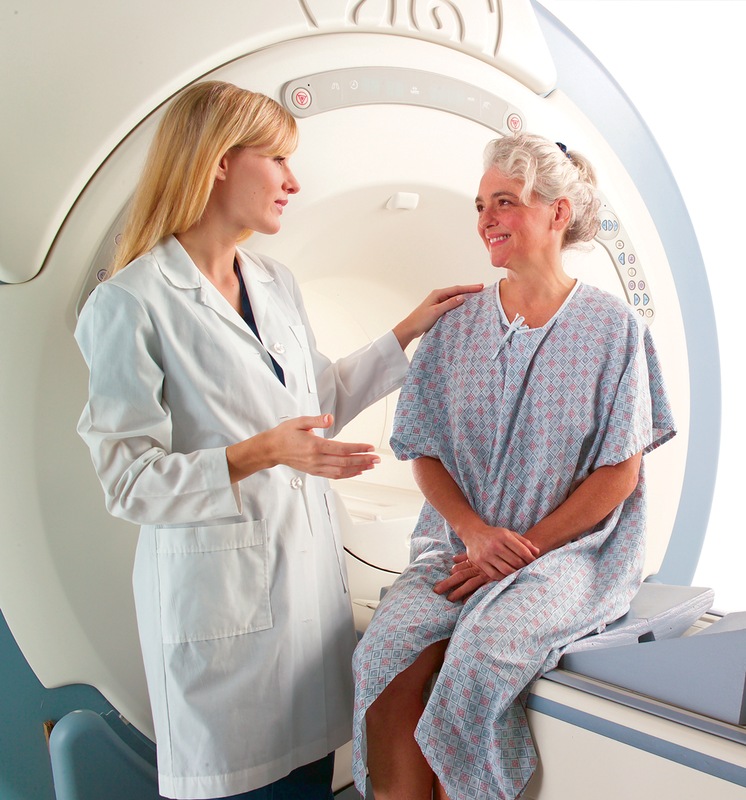 Magnetic resonance angiography (MRA) is a type of magnetic resonance imaging (MRI). An MRA provides detailed images of blood vessels without the use of catheters or surgery. Like MRI, MRA is safe and painless. During an MRA scan, you lie on a cushioned table that moves into the scanner. An injected contrast agent may be used to make blood vessels more visible on your images. These contrast agents rarely cause allergic reactions. Arrive 30 minutes early to complete paperwork. Inform your referring physician if you have ever experienced claustrophobia. If necessary, your doctor can prescribe a mild sedative before your appointment. If you receive medication, bring someone to drive you home. Contact us to find out if you have any restrictions on what you can eat and drink before your appointment. Take your regular medications prior to your exam. Bring your insurance information, as well as any applicable diagnostic films. Leave valuables at home. No metal objects can be worn during your scan (such as watches, jewelry, keys, or cell phone). You may be asked to wear a hospital gown or your own clothing if there are no metal snaps or zippers. Once your scan is complete, you may resume normal activities and diet. If you had a contrast injection, the technologist will give you additional instructions in case of discomfort or delayed reaction. The information on this site is not a substitute for professional medical care. Consult your physician for evaluation and treatment of your condition. If you are having a health emergency, call 911 or go to the nearest emergency room.